‘Anxiety’ is an oil-on-canvas painting created by Edvard Munch in 1894. 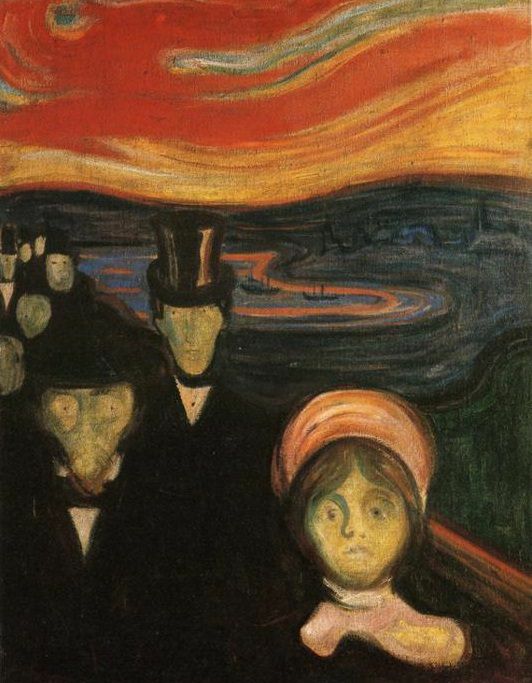 Many believe that the painting closely resembles Munch’s famous work titled ‘The Scream’. The dark colours and the faces in the painting depict negative emotions, and some interpret the expressions to be reminiscent of heartbreak and sorrow. 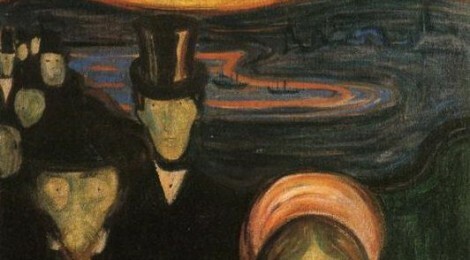 For more information about this painting, or about Edvard Munch, visit his website here.